Scenario 1. My computer won't connect to the Internet. A loose or damaged ethernet connection is the most likely cause of the computer not connecting to the internet. To troubleshoot this problem, you need to check thoroughly if the end to end connection of the ethernet cable is well fixed (Gheorghe, Avanesov, Palattella, Engel, & Popoviciu, 2015, April). The other cause of the computer not connecting to the internet is the improper network settings. For instance, to troubleshoot this problem, if the computer has proxy settings you need to disable the proxy setting before any change is made. This will ensure there is no interference with the IP setting. Spywares or viruses is the least cause of the computer failure to connect to the internet. The virus tends to block the access to the web. To troubleshoot this problem, you need to run antivirus on the computer. Scenario 2. None of our computers will print, but those over there are printing fine. The most likely problem of the computers not printing may be a failure of drivers to function or lack of necessary drivers (Rahman, 2018). To troubleshoot this problem, you need to test out all the drivers available in the controlled business environment when installing the printer on the network. The network cable failure is another cause of the computers not able to print in a network. To troubleshoot this problem, you need to make sure that the cable is plugged in the right jack. Damaged jack may also cause the computer not to print in a network. To troubleshoot this problem, you need to repair the jack or replace it, making it possible to obtain an IP address that the printer is supposed to obtain. Faulty printers' network card is the least cause of the computers being unable to print in a network. To troubleshoot this problem, you need to fix the network card or replace if it is damaged. Scenario 3. I'm not able to search your catalog from my computer. The most likely cause of a computer unable to search the catalogs of another computer is the file sharing mode being turned off. To troubleshoot this problem, you need to enable the file sharing mode. The steps to enable file sharing mode are: control panel>network connections>Local Area Connection>enable file sharing (Metzl, 2017). The disabled computer browser service on a computer is also another cause of the search problem. To troubleshoot this problem, go to system configuration utility, type MSCONFIG and then for the startup selection should be set to normal startup as well on the General tab. Corrupted IP settings are the least causes for the catalog search problem. To troubleshoot this problem, you need to switch the computer over to a static address and then switch it back to DHCP. This will make the TCP/IP configuration to reset and fix any corrupted IP settings like the subnet mask. Scenario 4. None of us are able to access the Internet! The router problem is the most likely cause of being unable to access the Internet. To troubleshoot this problem substantially inspect the router and make sure that everything is linked correctly. Crosscheck all of the router's illuminations and look out for any problem colors like orange or red, and whether or not any of the lights are flashing (Wetzker, Splitt, Zimmerling, Boano, & Römer, 2016, August). The operator error is also another cause of difficulty in the internet access. This may be caused as a result of the replicating IP addresses, setting bad firewall rules and plugging wires into the wrong jack. To troubleshoot this problem, ensure that there is no duplicating IP address and also ensure that the plugging wires into jack are correct and set good firewall rules. Equipment failure, frying routers, and switches are the least cause of inability to access the internet. To troubleshoot these problems, you need to ensure that everything has a surge and uninterruptable power supply especially in the case of the power surge. 1. Gheorghe, G., Avanesov, T., Palattella, M. R., Engel, T., & Popoviciu, C. (2015, April). 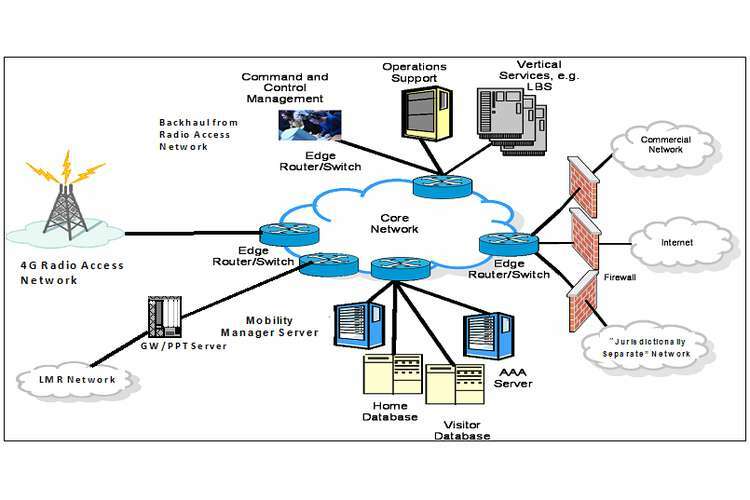 SDN-RADAR: Network troubleshooting combining user industry experience and SDN capabilities. In Network Softwarization (NetSoft), 2015 1st IEEE Conference on (pp. 1-5). IEEE. 2. Metzl, J. F. (2017). Searching for the Catalog of Catalogs. In Books, Bricks and Bytes (pp. 147-160). Routledge. 3. Rahman, Z., Ali, S. F. B., Ozkan, T., Charoo, N. A., Reddy, I. K., & Khan, M. A. (2018). Additive Manufacturing with 3D Printing: Progress from Bench to Bedside. The AAPS journal, 20(6), 101.